Australia has about 350 clubs all around the country with about 36,000 active members. 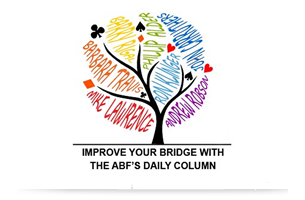 This Australian Bridge Federation website is a good starting point to find a suitable game. Most of the State Associations provide direct links to clubs in their state, and the ABF masterpoint centre also has a collection of club links. New Zealand has about 100 clubs all around the country with about 15,000 active members. The New Zealand Bridge Association website is a good starting point to find a suitable game. There are 3 clubs with about 170 active members in Noumea, the capital of New Caledonia. The Federation Francaise de Bridge provides contact and session details for bridge clubs in overseas areas connected with France. There are 2 clubs with about 60 active members in Papeete, the capital of French Polynesia. The Federation Francaise de Bridge provides contact and session details for bridge clubs in overseas areas connected with France. Plays every Wednesday from 9am to about noon. Visitors always welcome. About 3 tables 9am to noon every Wednesdays at the Royal Papua Yacht Club in Port Moresby. There is sometimes a weekly game in Honiara, and sometimes an occasional private game, depending on the presence of bridge-loving expats.